Moving is a challenging job. The mere thought may send shivers down the spine. While it often appears to be a DIY task, hiring professional movers can make the move pleasant and hassle-free. But before you finalize on it, prepare well to avoid unnecessary stress. Here is an overview of the 8 common moving mistakes people make. A do-it-yourself move is not as much “fun” as we assume. Give yourself enough time to study how you want to move and scrutinize everything that is involved. Take references from friends who have moved and talk to the movers to get clarity before taking any decision. Give yourself plenty of time to pack before your move starts – at least six weeks prior to the move. Choose to take an inventory before and after packing. There are many things in our home and offices that we haven’t used in years. Get rid of them instead of shedding extra money moving them along. Label your boxes properly and stay sorted. Not only does this help to load the boxes aptly but also makes the unpacking easier. Moving companies cannot be held responsible for expensive items. Thus, safely wrap and pack your jewels, important documents and all other personal items with you. Do not forget to pack a small bag with the items you will need instantly through the first week at your new place. Looking for such items in the bigger boxes can be a pain. There can be a moving “traffic jam” certain times or there might be a chance that Mother Nature isn’t cooperating. So, plan ahead!! Understand what all your insurance involves. Be aware of how much and what exactly it covers. 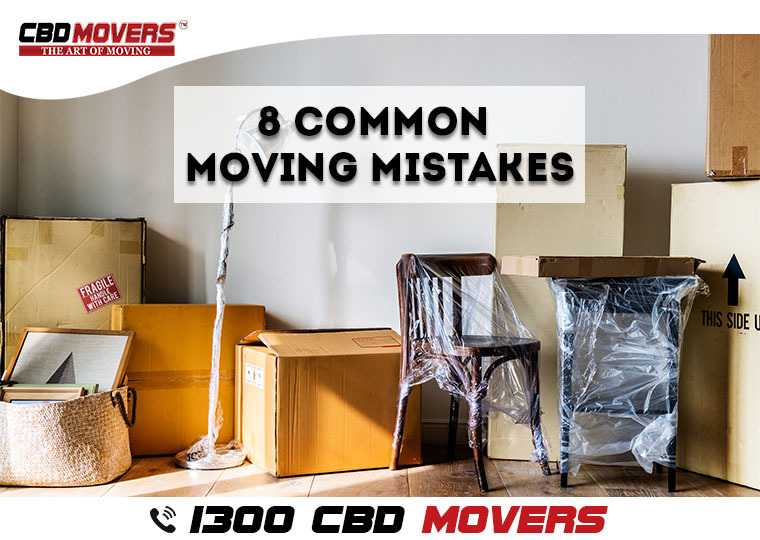 We, at CBD Movers, are the best interstate movers in Perth and can help you deliver all your things safe and quick. For all house and office removals or any sort of moving services in Perth and its suburbs, contact CBD Movers. We guarantee you quick, safe and careful, tense free move. Our interstate furniture removalists team involves thoroughly trained and experienced specialists. To know more about our removal services and solutions, call us at 1300 223 668.